Built in 1877 this family-owned property, close to the opera house, has been home to royalty. 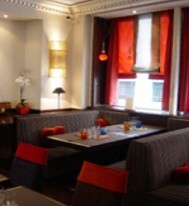 Guests will love the gourmet restaurant and luxuriously appointed accommodations at this true Parisian gem. Edouard 7 offers pet-friendly accommodation in Paris, 400 metres from Opera Garnier. Guests can enjoy the on-site bar.A flat-screen TV with cable channels, as well as an iPod docking station are offered. Certain rooms include a seating area for your convenience. Rooms are equipped with a private bathroom. Extras include bath robes, free toiletries and a hair dryer. A TV is provided. 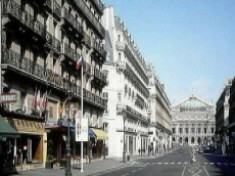 The Edouard VII is a Tourist hotel. Located in City Centre - Opera area. Shopping is accessible by bus/taxi and the nightlife/restaurants are easily accessible by taxi or bus from the hotel. Descriptionclass="small" style="text-align: justify; font-size:11px;">Built in 1877 this family-owned property, close to the opera house, has been home to royalty. 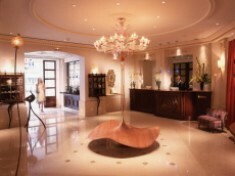 Guests will love the gourmet restaurant and luxuriously appointed accommodations at this true Parisian gem. Edouard 7 offers pet-friendly accommodation in Paris, 400 metres from Opera Garnier. Guests can enjoy the on-site bar.A flat-screen TV with cable channels, as well as an iPod docking station are offered. Certain rooms include a seating area for your convenience. Rooms are equipped with a private bathroom. Extras include bath robes, free toiletries and a hair dryer. A TV is provided. This small hotel is located near restaurants and the beaches. Charming exterior and interior but a little worn. No lift. Be prepared to carry your bags up steps. Helpful front desk and adequate breakfast. Room safe broken and could not be repaired by management. Room was fine but should you open the window be prepared for mesquitos. But, yes, I would return. Thank you for your review on TripAdvisor following your stay in our hotel! We are very happy you enjoyed your stay with us and we look forward to the pleasure of welcoming you back soon. My and my boyfriend stayed here for 2 nights in August, the room was clean, quiet and beautiful. Staff were also really friendly and helped book a taxi to the airport at the end of our stay. The location is also ideal with only a short walk to the beach, shops and town! I would not hesitate to book again. We thank you for your feedback following your stay in our hotel. 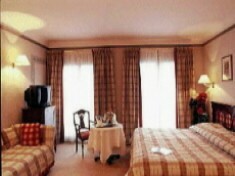 Hotel is located at the edge of the city center in Biarritz. Classic French interior, a little dark and heavy furniture, but good atmosphere. Rooms are fairly modern and spacious. They have a fine wifi and a good bathroom. Staff is friendly and speaks English. Breakfast is classic French and of ok quality. Good value for money. Thank you for sharing your post on TripAdvisor. We do appreciate to read that you had a pleasant stay in our hotel. Itâ€™s great to know that you have appreciated your room. Our staff would be happy to welcome you again! A lovely B&B (not more then that) nicely furnished and renovated, with such a cozy atmospehere. BUt it definitely is not more then just a B&B, it offer a palce to sleep and a good breakfast. The bed is comfortble and rooms quiet warm. Location is perfect and 5 minutes walking distance to the centre of biarritz and shoreline. Thank you for sharing your feedback with the TripAdvisor community. We are happy to read you had a great time in our hotel. It is great to know that you have appreciated our comfy rooms. We are sorry to learn that you could'nt find the courtesy tray, which is located in the wardrobe. It would be a pleasure to welcome you back in the Basque Country. We are really glad you enjoyed your stay in our hotel and we thank you for taking the time to leave this nice comment.